Are you hooked on needlework? Keen to learn more? Or a absolute beginner? 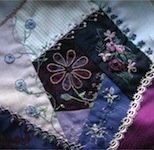 Whether you are hoping to master basic embroidery stitches or create an heirloom, I am delighted to help. 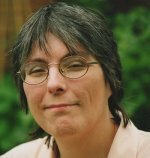 I offer tutorials, videos, inspiring ideas, and downloadable projects. 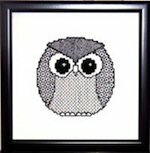 A relaxing hobby whatever your age, stitching allows you to decorate your home, embellish your clothes and make unique gifts. Begin simple and develop your skills and knowledge. You may discover one form of embroidery suits you better than another, so try out a variety, before deciding on your favorites. How do you narrow the choice? Let's start by splitting the techniques into two groups. Do you prefer the pattern marked onto the material, or to follow a paper chart? A chart shows you where to put each stitch, by counting fabric threads. The size of the stitches in a counted design are consistent. Having an outline on the fabric gives you more freedom. You can choose your stitches, thread color and arrangement. 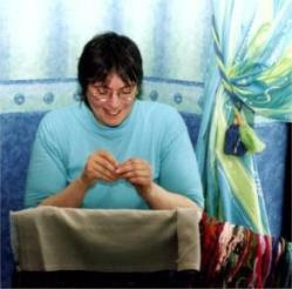 Each technique will have its devotees and I include instructions and projects for both types. 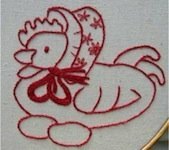 If you are new to embroidery you may choose to start by reading the equipment section. I examine the threads, hoops, needles, fabrics and other items you may need. Another great jumping off point is the stitch index. 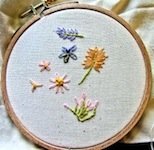 Watch my stitching videos to learn how to work them. If you prefer to jump in and try a project straight away, hop over to the free tutorial list. 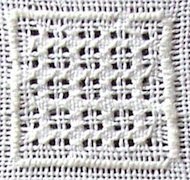 If you already have some experience, you may like to browse the patterns in my shop. 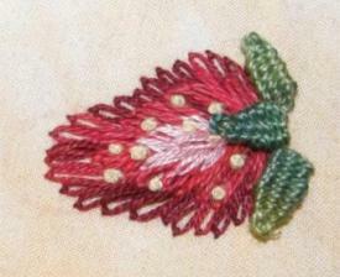 I hope you love learning different needlework techniques and have fun doing so.